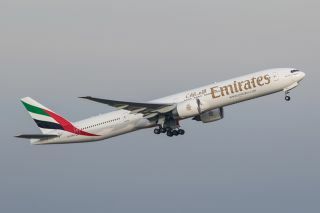 DUBAI - Emirates mulls introducing a Premium Economy service as load factors drop at the world`s largest international airline. "There is a business case for looking at premium economy seriously", "Gulf News" quotes Emirates President Tim Clark. So far, neither Emirates nor its peers Qatar Airways and Etihad Airways joined the premium economy bandwagon fearing negative spill-over effects on business class bookings. Premium Economy became increasingly popular among self-paying fliers in recent years and several European and Asian carriers established high-yielding cabins with wider seats, extra legroom, private armrests and upscale service in their offerings successfully. Delta and American announced Premium Economy cabins recently. Emirates affiliate Qantas offers Premium Economy services since 2008. This might encourage Emirates to trial a Premium Economy on joint one-stop links between Australia and Europe, but according to Clark no firm decision has not been made.